This NCTE Orbis Pictus Honor Book celebrates one of the most important patriots in post-Revolutionary times. 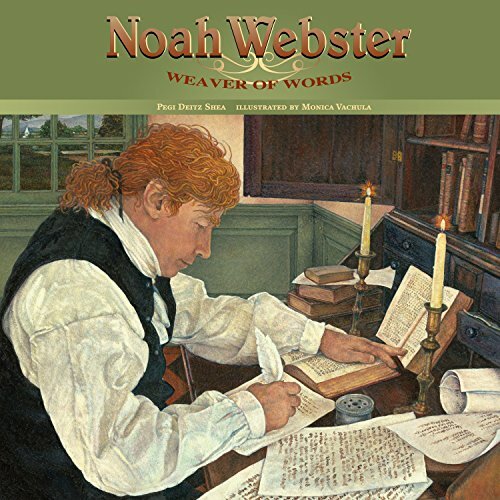 Most readers know Noah Webster for his dictionary masterpieces and his promotion of a living "American Language" that embraces words and idioms from all its immigrant peoples. But he was also the driving force behind universal education for all citizens, including slaves, females, and adult learners. Speaker of twenty languages, he developed the new country's curriculum, writing and publishing American literature, American history, and American geography. He published New York City's first daily newspaper. As editor, Webster conducted a study and linked disease with poor sanitation. He created the country's first insurance company, established America's first copyright law, and became America's first best-selling author. If you have any questions about this product by Boyds Mills Press, contact us by completing and submitting the form below. If you are looking for a specif part number, please include it with your message.